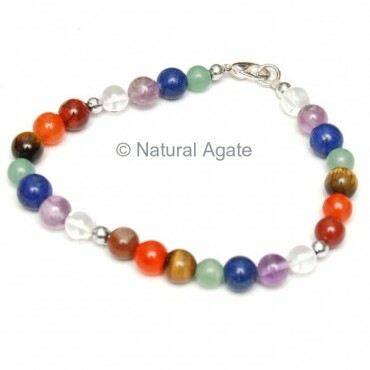 Natural Agate brings High Quality Round Beads Chakra Bracelet to you at affair price. After every set of seven chakra beads a small silver bead is weaved. It is 7in in length.